There are many waterfalls in New Zealand. When we were creating our itinerary on the fly, we noticed that there are many very good waterfalls at North Island that is very accessible. One of the interesting waterfalls is Mangawhero Falls. 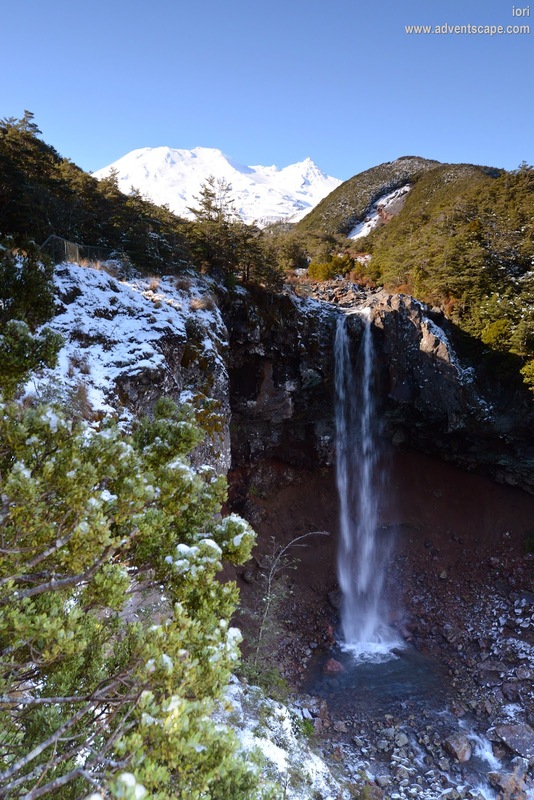 Mangawhero Falls is located, nearly at the side of the road, going to the ski area at Mount Ruapehu. Since it's close to the road, you just need to stop and walk 5 minutes and you'll see the waterfall. Mangawhero Falls is also famous as it's a filming location to the epic Lord of The Rings Trilogy (LOTR). If you're not a Lord of the Rings fan, it's also good to visit this place as it's just 10 - 15 minutes stop at the side of the road. Getting there is just a 5 minute walk. 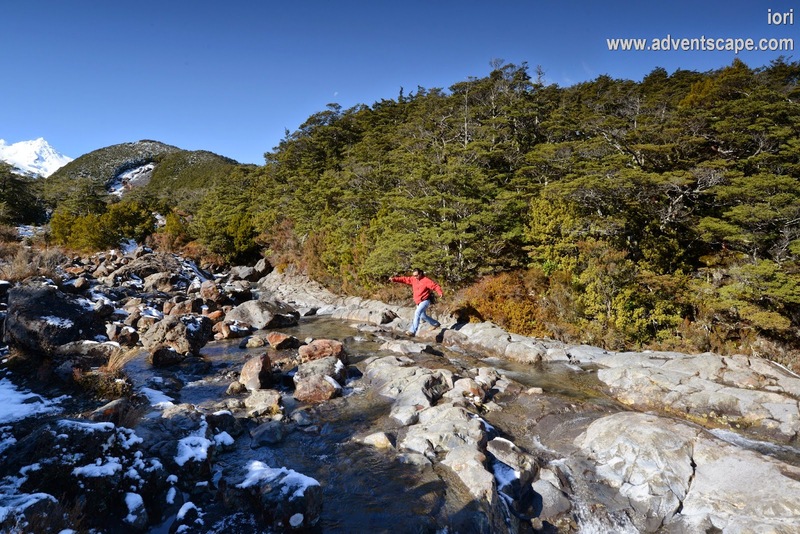 If you're going to Turoa for a ski adventure, you'll going to drive along Mangawhero Falls. You can stop by for a few minutes to view this waterfall. If you're a tourist, then it's a good idea to stop by before going to Turoa. 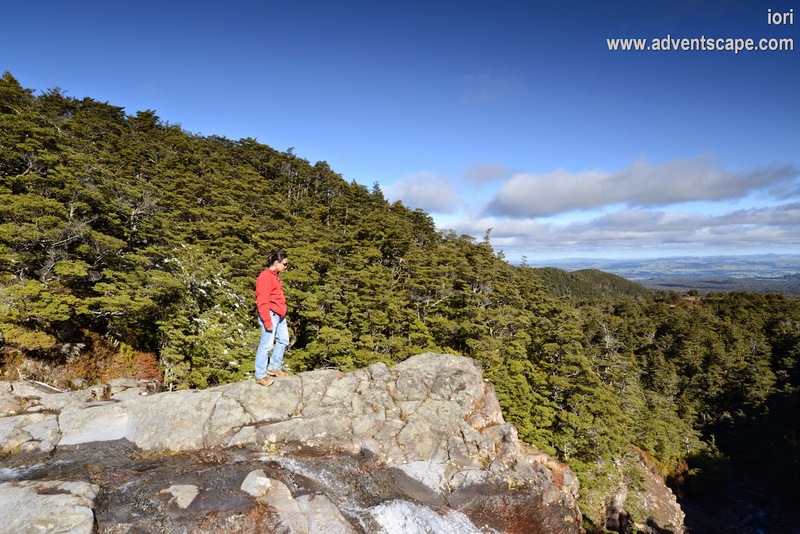 It's just 5 minutes walk from Ohakune Mountain Road. I got a chance to find this place so I took some shots. When I was there, the sun is lighting Mt Ruapehu but it casts a shadow on the waterfall. I had to use a Lee 0.9 Soft ND filter and a Lee 0.6 Hard ND filter to have Mt Ruapehu show up at the background. If Mt Ruapehu gets the sun in the winter (with snow), the dynamic range will increase. If you're a Lord of the Rings (LOTR) fan, then you're in for a treat! This is the scene wherein Gollum tries to catch fish at a river. Gollum then catches the fish and tries to subdue it by hitting the fish on the rocks. This is a very famous LOTR movie scene thus is very easy to relate to. For me, the waterfall isn't as amazing as Whangarei waterfalls or Rainbow waterfalls. If you're not going this route, not going to ski at Turoa or not a Lord of the Rings fan, then probably you can skip this. But if you're driving at Ohakune Mountain Road, it's best to just spare 15 minutes to find this place. It's a good challenge as well for photographers to make the waterfall visible while retaining the details of Mt Ruapehu (as background). It's harder during winter as Mt Ruapehu is covered with snow.